Switch to eir mobile and enjoy eir sport live on your mobile phone. Get FREE access to eir sport, so you can watch heart stopping action of The Premier & Champions Leagues, The Europa League and loads more. Switch to superfast eir fibre broadband and discover even more ways to watch free eir sport, at home or on the move. 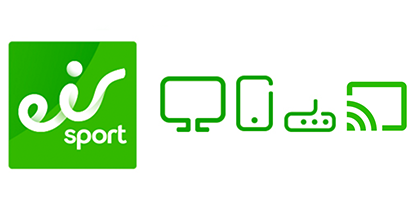 How can I get eir sport on my mobile? Get access to our 7 channel eir sport pack with eir sport 1 & 2, BoxNation, and four great BT Sport channels when you download the eir sport app. Are you ready to rumble? Join us ringside LIVE from Madison Square Garden on Saturday April 20th, as Britain's Amir Khan challenges the unbeaten Terence Crawford for his WBO Welterweight crown. Will it be another glorious night for the veteran Khan or will the man considered as one of the greatest pound-for-pound fighters of all time win the day? Catch all the action LIVE on BT Sport Box Office Pay-Per-View. Don’t miss it! Available on eir vision channel 490 HD and 491 SD for €24.99. Have Sky TV and eir Broadband? Fantastic. As an eir Broadband customer you can get eir sport for FREE on your Sky box. Click below to subscribe to free eir sport. Have Sky TV only without eir broadband? 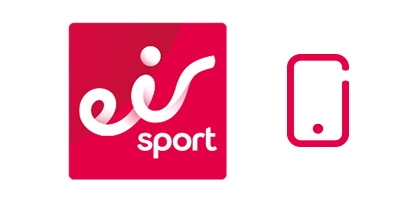 Click below to access our great value subscription packages for eir sport and BT Sport on Sky TV.